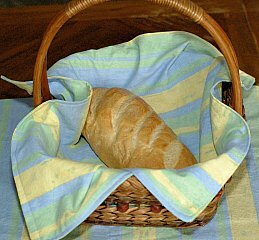 Cloth Dinner Napkins or Bread Cloths. You can create elegant or casual napkins easily by the fabric you choose. 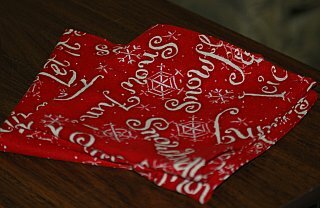 You can also sew holiday cloth napkins by using decorative holiday fabric. Place 2 squares with right sides together. Stitch around the edges leaving a 5 inch opening for turning right side out. Turn right side out. Turn the unsewn edges in and pin. Iron edges flat. Stitch a top stitch all around the edges on each side. 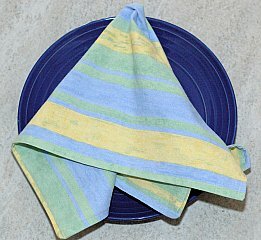 Continue with remaining cloth napkins. You will have a set of 4, however, if you'd like more, cut out enough material to make additional napkins. 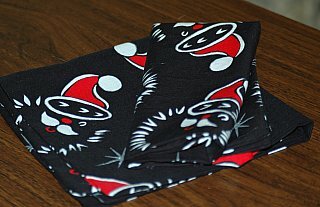 Use these for table napkins or as bread cloths. You can also make this easy sewing project for a gift for someone by including napkin rings handmade or store bought. You can try this for any holiday and with any type of decorative fabric. Use the directions above using holiday material. 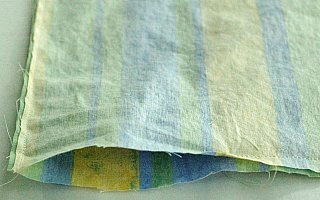 You can use these as dinner napkins, place in baskets and put baked goods inside, lots of great ideas with a simple cloth napkin. 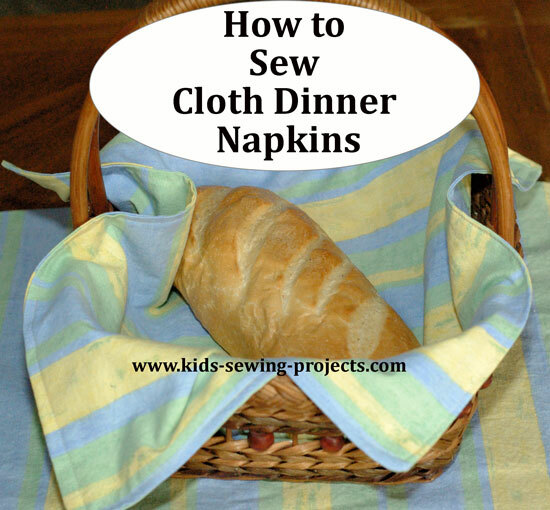 Make a dinner placemat to match your cloth dinner napkins.